“#Screamers” is a found footage horror film directed by Dean Matthew Ronalds and written by Tom Malloy and Dean Matthew Ronalds. The movie is presented as a documentary about the founders of an Internet startup company who happen upon a video that goes viral on their company website, but with dire consequences. 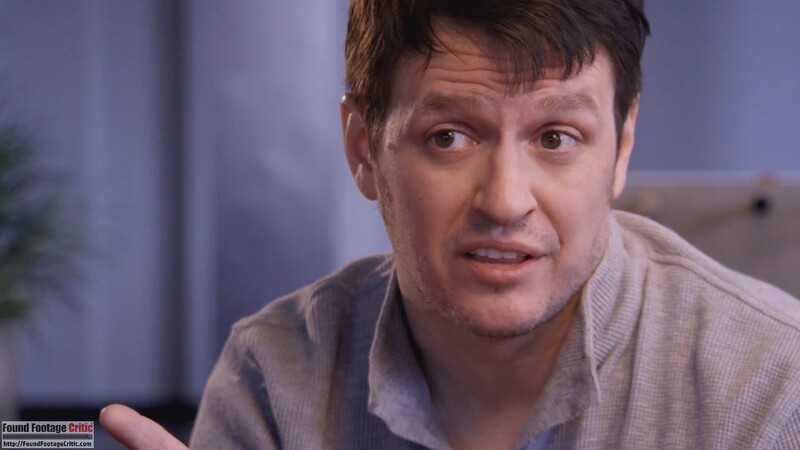 We had an opportunity to speak with #Screamers co-writer and lead actor Tom Malloy, who describes the inspiration for this novel film, “I was so excited to see the film Catfish (2010) based on the trailer which made the film seem like a horror movie. Then I was disappointed, but I came up with the idea, what if there was a film that developed a truly believable story, and then descended into chaos . 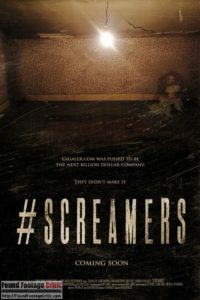 . . Director Dean Ronalds and I feel we take found footage to a new level of reality.” To promote the perceived reality of the film, the #Screamers crew went so far as to launch an actual Gigaler.com website. #Screamers opens in the corporate headquarters of Gigaler, a high-tech Internet startup company. 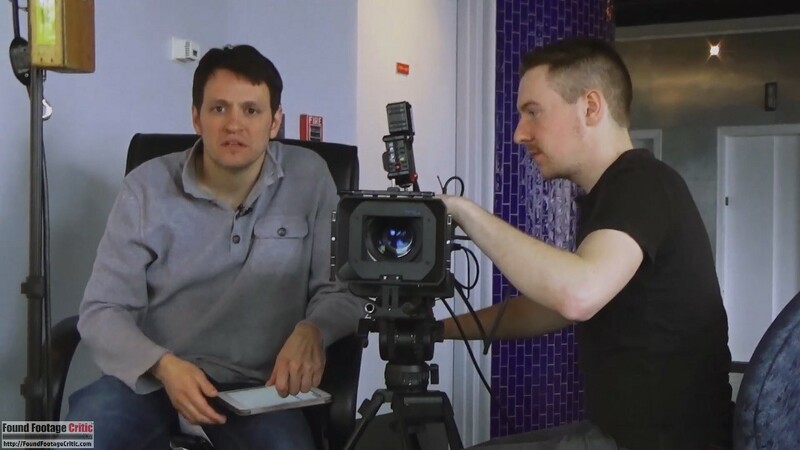 Employee Griffin (Griffin Matthews) is tasked with filming a documentary covering the growing company as well as its two founders, CEO Tom (Tom Malloy) and product developer Chris (Chris Bannow). Early in the Film Griffin films a walk-through of the Gigaler corporate headquarters. He visits the different departments and interviews the staff, evoking imagery of the creative and free-thinking work environments of Google and other like-minded Silicon Valley companies. The walls of the offices and hallways are adorned with magazine and newspaper articles covering Gigaler from Wired, The New York Times, Mac-Life, and many other national publications. 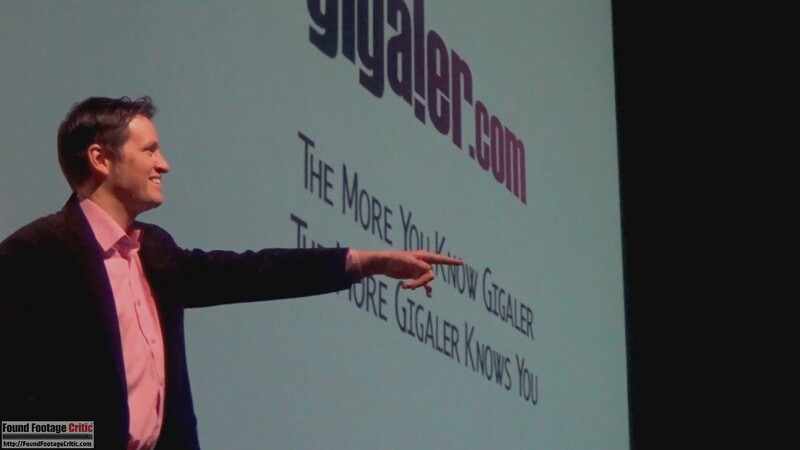 During the filming of the documentary, Gigaler receives a video submitted by a user of their website. After viewing the video, Griffin decides to include it in the documentary. 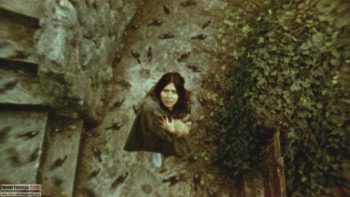 The video depicts a morose woman standing in a cemetery followed by an unsuspecting jump scare. CEO Tom is convinced that the video has the potential to generate a lot of website traffic and posts it on Gigaler’s homepage. The video is wildly successful, generating over 27 million views for the small company. Tom, the consummate entrepreneur, contacts the woman in the video. He wants the exclusive rights to the video as well as other video content developed by its author. Tom’s relentless drive for success leads him and his company into an evil darker than their worst nightmare. The level of detail devoted to perfecting the found footage cinematography is commendable. The cinematography in #Screamers is exceptionally done overall. The majority of the film is shot with two cameras, a consumer handheld video camera and a Digital Bolex, a professional grade video camera. The Digital Bolex has a unique retro-casing which is interesting to look at whenever the camera makes an appearance on screen. #Screamers also includes some footage captured with a smartphone. Most of the scenes in #Screamers are filmed concurrently with two video cameras. This dual-camera filming approach enables #Screamers to use multiple POVs, giving the film a traditional narrative feel while still maintaining its found footage roots. 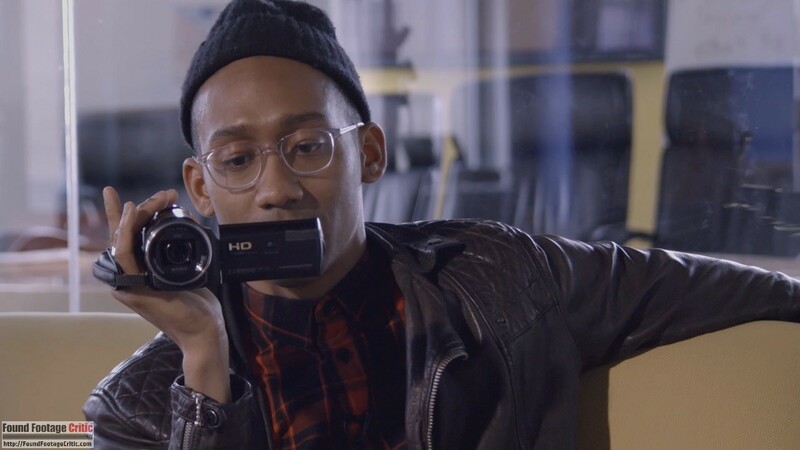 During scenes that are filmed in one location, such as an office or car, the characters often set one of the two video cameras in a fixed location, like a desk or car dashboard, further enhancing the overall cinematic quality without sacrificing the found footage delivery. 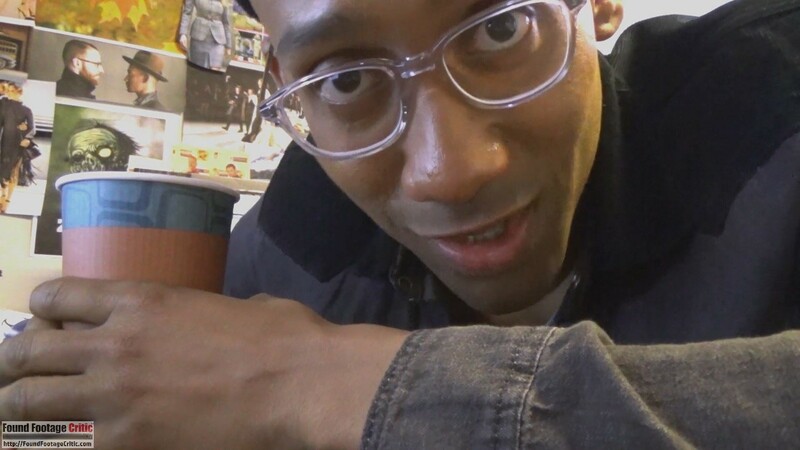 Credit is to be given to the filmmakers for using a dual-camera filming approach, as it is a highly underutilized technique that should be used more often in the found footage genre. Also of note, #Screamers is among a scant few found footage feature films that open with no title card or credit sequence, further adding to the perceived realism of the film right from the start. In closing, the level of detail devoted to perfecting the found footage cinematography is commendable, particularly the dual-camera approach used to shoot most of the film. The filming reason is perhaps the most heavily scrutinized element of a found footage film. #Screamers does an exceptional job justifying the capture of footage throughout the film’s duration. 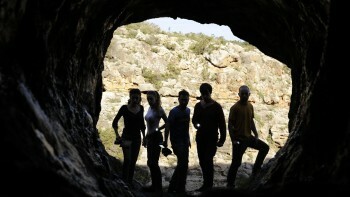 First and foremost, the filmmakers are creating a documentary about Digaler and the company’s founders. The interview portions of the film convincingly portray content that one would expect to find in a documentary. Secondly, during the filming of the documentary, the company fortuitously receives the “screamer” video submission that is the focus of the latter part of the film. When the group discovers that the woman featured in the video may be a missing person, Tom and Griffin decide to document their investigation of the video, believing the resulting footage would be newsworthy and benefit the company. The found footage purity is a measure of how convincing a film is at approximating actual found footage. For most of the film’s runtime, #Screamers performs exceptionally well at maintaining its found footage conceit but falters towards the end due in large part to the infusion of sound design and background music during the climactic scenes in the final twenty-five minutes. Early in the film, the selection of sound design and background music are appropriate for what one would expect to find in a professional documentary. Since the filming takes place over many days, we can presume the dailies are edited on a rolling basis as the film is shot. However, later in the film, an overture of sound and music is added to create tension during scenes that take place in a house the characters visit. The sound is akin to what one would expect during the build-up of a narratively shot horror film but feels out of place in a found footage film. Sound design and music are a natural (and expected) component of narratively shot films. However, in a found footage film, the inclusion of any sound design or music must be handled very subtly. Most found footage films contain little to no non-diegetic sounds, making many viewers hypersensitive to any audio that cannot be clearly traced to a source in the film. As such, the sound and music during the latter part of #Screamers may impact the found footage experience for some viewers. Of lesser concern, during an outdoor scene filmed in a cemetery, the audio quality of the dialog is too even, sounding as though the actors are wearing personal mics. To compensate for noisy environments, found footage filmmakers often attach sensitive forward and rear-facing microphones to the video cameras for outdoor scenes, enabling the actors’ voices to grow and fade as they move towards or away from the video camera. While #Screamers is not perfect, the film strives for unyielding perfection, which is demonstrated by the film’s exceptional plot, acting, character development, visuals, and fun supplemental material for fans to visit. #Screamers is a well-cast film and the acting is exceptional across the board. #Screamers is a well-cast film and the acting is exceptional across the board. Most of the cast adopt their actual first names for their respective characters, further feeding into the perceived realism of the film. At the heart of #Screamers is Tom Malloy who plays Tom, the CEO and charismatic leader of the small Internet startup company. Tom Malloy is wholly convincing in his portrayal of a man who embodies the entrepreneurial spirit and drive to succeed. The character Tom is modeled after real entrepreneur Kaleil Isaza Tuzman who stars (as himself) in the documentary Startup.com (2001). Chris Bannow performs exceptionally as co-founder Chris, the brains behind product development at Gigaler. He does a wonderful job playing the stereotypical low key software developer who is not as well-spoken and eloquent as Tom, and often struggles to find his words and adequately express himself. Behind the video camera for most of the film is Griffin Matthews who plays Griffin, the enthusiastic cinematographer filming the documentary. He is stellar in his portrayal of a loyal member of the Gigaler team who is motivated by Tom’s enthusiasm and will stop at nothing to see Gigaler succeed. Abbie Snee is convincing in her role as Abbi, the quiet and reserved software developer who is frequently so caught up in her work that she is unaware of her surroundings. Emanuela Galliussi does a good job playing Abbi’s friend Emma and prominently displays her acting chops when the Digaler team visit her house in the latter part of the film. Finally, Theodora Miranne plays the perplexing character, Tara. She effectively conveys a social awkwardness and mysterious undertone during her phone conversations with Tom that feeds into the creepy atmosphere that builds up throughout the film. #Screamers is a fun and intense roller coaster ride that never lets up! The plot of #Screamers is rather unique for a found footage film. 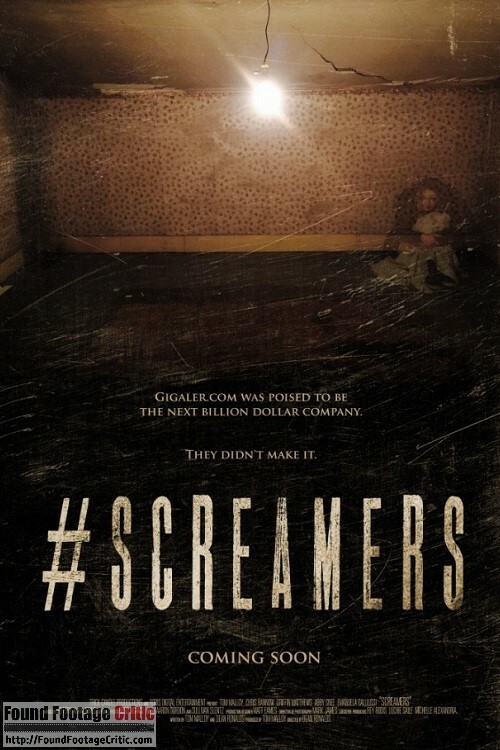 While there are a plethora of films shot using the documentary format, #Screamers is perhaps the first to follow an approach in the same vein as a CNBC documentary covering the inner workings of a company. The focus of the documentary is an Internet startup, Gigaler, that has a new algorithm that can predict the content that website visitors will want to see. In the real world. websites have had the capability described in #Screamers (of recommending relevant content using predictive algorithms) for well over ten years. However, it is conceivable that Gigaler built a better mousetrap and improved upon the traditional algorithms in a novel way that offers more accurate results. Regardless of its real world similarities, #Screamers presents the story in such an interesting and engaging manner, that none of this really matters—#Screamers is a fun and intense roller coaster ride that never lets up! Incorporating the “submitted video” as a central plot element in the documentary is a brilliant move. The filming of the documentary is the perfect vehicle to introduce and develop the characters and provides an exceptional segway to the investigation of the screamer video. 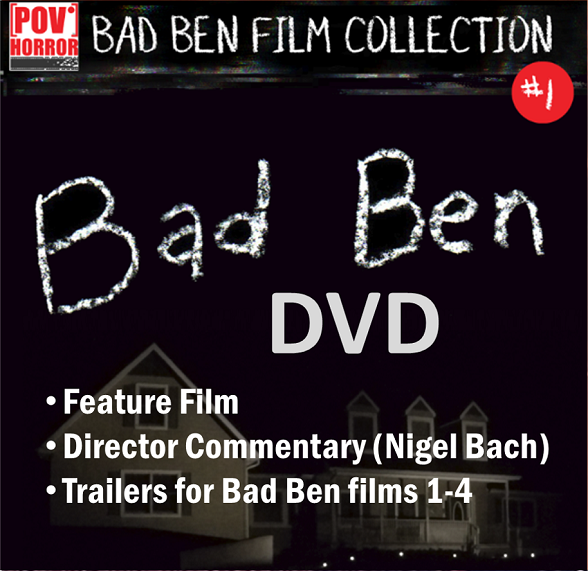 The film’s name is adopted from Internet screamers, which are defined on Wikipedia as a “video or application on the Internet that has a sudden change designed to startle the user. They often include a scary face with a loud scream. Screamers have been around since at least 1996.” With the accessibility of YouTube, screamers are plentiful, but their popularity has waned since their first appearance in the 1990s. The jump scares the screamer videos evoke motivates Tom to include them on the Gigaler website. The lore of the story is topped off with an actual Gigaler.com website that fans of the film can visit. Additionally, during the film, the two founders, Tom and Chris, reveal that they met at another job building a new DMV website—the filmmakers went above and beyond by creating an actual fan website for the DMV as well. Adding to the mystery and intrigue of the plot is the weaving in of the gravesite of Francis Tumblety, a man who is suspected of being the actual Jack the Ripper. To filmmakers’ credit, the film is shot in Rochester, New York at the actual gravesite of Francis Tumblety. The coupling of the Francis Tumblety plot thread with the missing person report of Tara Rogers makes for an intoxicating story. In fact, the only aspect of #Screamers that trumps the plot is the intense climactic ending that promises not to disappoint. Found footage film where an internet company decides to investigate a series of 'Screamer' videos, they are confronted with havoc and hell they could never expect. #SCREAMERS is a found footage horror film with an interesting and engaging story and characters, great acting, and a superb ending. 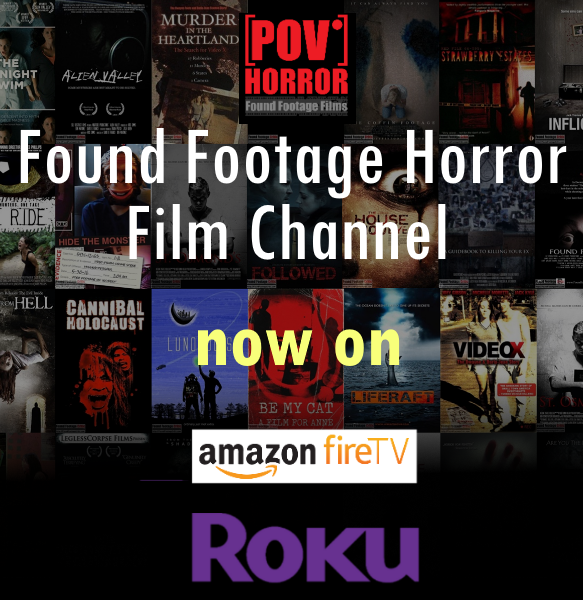 This film is a must watch for all found footage and horror fans.